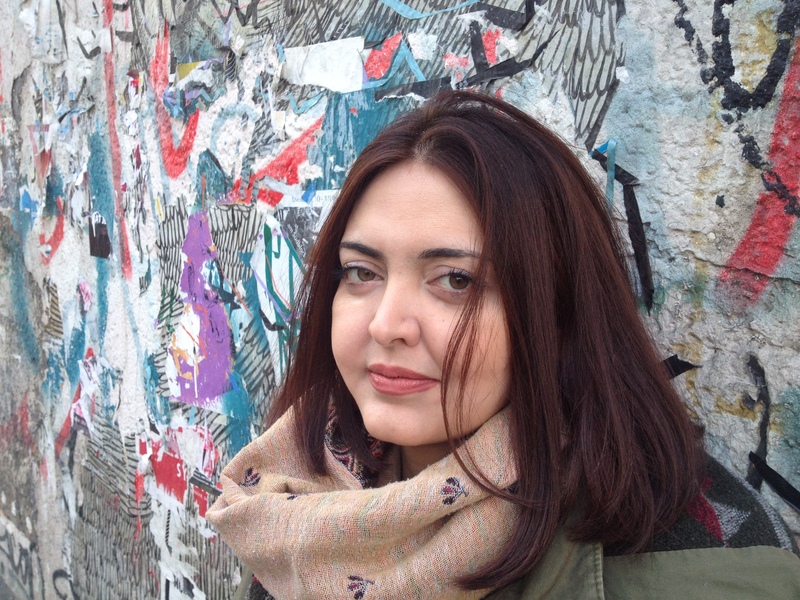 Rasha Abbas is a Syrian journalist and author and currently lives in Berlin. In 2008 she published her first collection of short stories “Adam hasst das Fernsehen” (Adam hates TV) and was awarded with an award at the Damascus Capital of Arab Culture Festival. In 2013 she wrote the script for the short film “Zufriedenheit und Glück” (Contentment and Happiness), produced by the Bedayat foundation. She works as an author and translator for the 2014 anthology “Syria Speaks: Art and Culture from the Frontline”. In the same year she concluded her Jean-Jacques Rosseau Fellowship, supported by Schloss Solitude in Stuttgart, where she worked on her second collection of short stories “Des Pudels Kern” (The Gist of it). Die Erfindung der deutschen Grammatik. Short stories. Translated from Arabic by Sandra Hetzl. mikrotext 2016.